The class will be carving a male Northern Cardinal. We will study the bird structure, detail and colors. 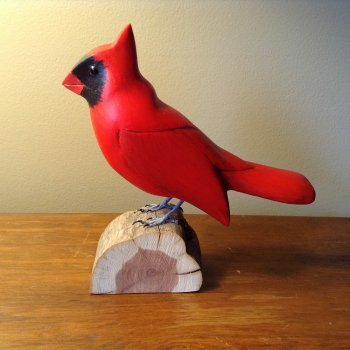 We will be carving a full size Cardinal from native white pine. We will be using all hand tools, then detail, sand, paint using acrylics, and then finish by mounting on a wood base.